It’s official. Spamming children with alcohol advertisements does not breach the Alcohol Beverages Advertising Code (ABAC) standards, the alcohol industry’s swiss-cheese voluntary standard for alcohol advertising regulation. The Chief Adjudicator of the ABAC Complaints Panel has ruled that the Panel will not consider a complaint about Diageo Australia spamming a three year old with a Bundaberg Rum video-advert when she clicked on a Dora the Explorer video on a children’s YouTube channel. 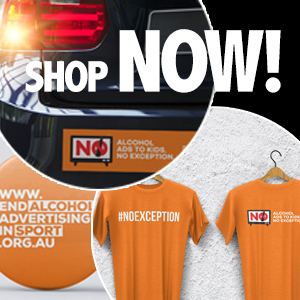 The decision by Chief Adjudicator the Hon Michael Lavarch AO confirms that otherwise unobjectionable alcohol advertisements do not breach the ABAC Code simply because they appear on children’s websites. I made the complaint to ABAC in September 2015 after Bundaberg Rum ads appeared on a Dora the Explorer YouTube channel. This argument strikes me as self-serving. As the photos on this blogpost illustrate, the Dora video in question was hosted by Super Dora Games, a YouTube channel with >62,000 subscribers and more than 54 million views. Check it out. Is it really so unreasonable to expect ABAC to hold Australian alcohol advertisers accountable when they advertise on sites like this? So what really happened? It’s difficult to know. 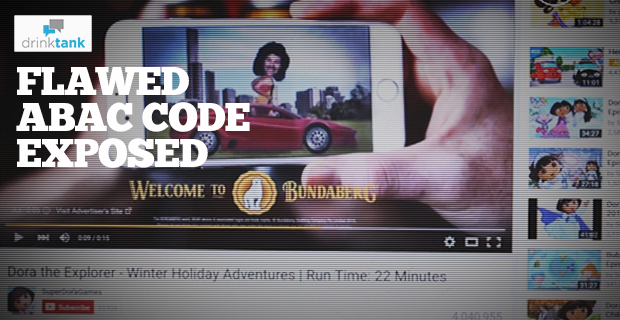 At the end of the day, Diageo Australia spammed a three year old watching content appropriate for toddlers, but that doesn’t even breach the voluntary Code that Australia’s largest alcohol companies, hand on heart, have pledged their allegiance to. The photos seen in these posts illustrate that spamming children with liquor advertisements on children’s content websites is a real issue, not a hypothetical one. In my view it would now be appropriate for the ABAC Management Committee to plug one of the holes in the ABAC cheese and to include a provision that prohibits Australian alcohol advertisers from advertising alcohol to children who are accessing age-appropriate content online. The alcohol industry could only object to a provision like this if it somehow thought that it was appropriate for advertisers to spam under-age children and adolescents with liquor ads when they are accessing age-appropriate content online. This post first appeared on Sydney Health Law, the blog for The University of Sydney’s Centre for Health Governance, Law and Ethics. If you are interested in studying health law, visit the Sydney Law School for further information about their postgraduate programs. Self-regulation … whoever thought THAT would be a good idea?